In 2017, a homeowner’s dog was fatally shot during a police response to a false alarm in Nye County, Nevada. The home’s alarm system had sent several false alarms to the responding security company. Although the homeowner was able to give the company his safety code to indicate the false alarm, the police department was not notified quickly enough to call off their own response. The responding officer entered the fenced property and the homeowner’s dog approached. In the heat of the moment, the responding officer reacted to the homeowner’s approaching dog in fear. This sad story is just one example of what can go wrong when residential security alarms are falsely triggered. Though accidents like these are not common, they can and do happen. In addition to causing potential accidents and injuries, false alarms also put unnecessary strain on the time and resources of local law enforcement. Unfortunately, most residential security alarms triggered are false. In fact, false alarms have become so frequent that many local governments now charge fines for falsely triggered alarms. There are various reasons why false alarms occur, but they all mainly come down to one issue: user error. Homeowner’s often forget their passcodes. They also often fail to give a passcode to a contractor working on or in their homes or to family members and guests. Lots of false alarms occur because homeowners are not properly trained in how to use their alarm systems. The best way to prevent false alarm triggers is by knowing how to use your alarm system, remembering your passcode and selecting a safe word (to indicate a false alarm to your security company) that the whole family will remember. You should also be sure to inform your house guests of how to properly use the system. Provide any contractors working on your property with a temporary code for their own use to ensure they cannot re-enter your property at a later date. Having your security system expertly installed by a professional security company will also help you prevent false alarm triggers. A professional company will help you select the best alarm detectors for your home environment (motion detectors and window/door sensors), while also installing them properly in the best locations. In addition, professional alarm companies thoroughly train system users and are available for ongoing technical support. 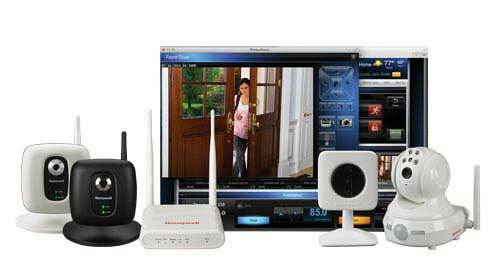 For more information about how choosing a professionally installed residential security system can help you prevent false alarms, contact Arpel Security Systems today.